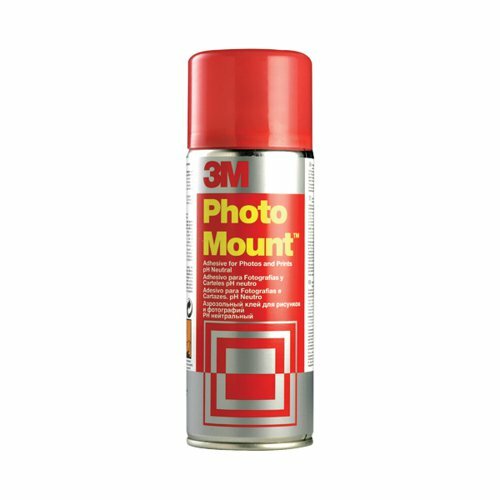 3M PhotoMount Spray Adhesive Permanent. High strength adhesive - provides an instant and permanent bond. Ideal for photographs, archiving, illustrations, prints and maps. pH neutral, non yellowing and UV resistant.